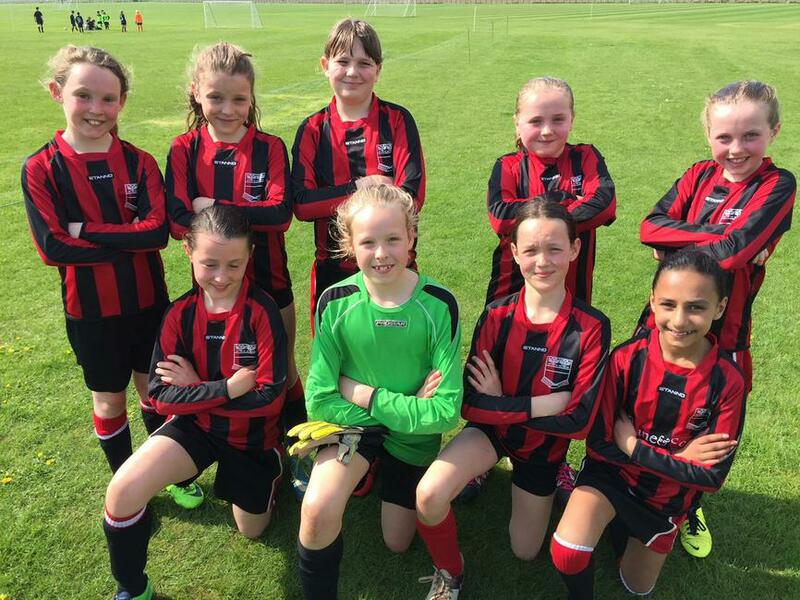 Congratulations to the Hugh Sexey's Girl's Under 11's Football Team on securing a place in the National Cup Finals. On Saturday 21st April they played in the South West Regional Football Finals at Keynsham, representing Somerset. Out of 10 Counties, we came second which is a greatachievement and a testament to the girls hard work and application. In ever changing conditions the girls battled hard to secure two 0 - 0 draws in the first games. Edie P was a pillar of strength in goal, whilst Cery's W was bravery personified throughout. In challenging circumstances the girls secured their first victory against Hampshire. They claimed a late penalty to win the game 1 - 0. Maddie D was in fine form and alongside Katie R and Olivia F they formed a formidable attacking duo. After 4 matches and earning 6 points, they got through to the Semi Finals where they meet Dorset. This was a nail biting game, with both teams having frequent scoring opportunities. After extra time it went to penalties and Aida R scored the winning penalty. Goal keeper Edie P was in fine form saving all the penalties. In the final we were narrowly beaten by the Gloucestershire team 1-0. It was another close game with Gloucestershire just having a little more composure when it mattered most. By reaching the final Hugh Sexey's (Somerset) will be joining The Park Primary School (Gloucestershire) at either Sheffield Wednesday FC (Hillsborough) or Coventry FC (Ricoh Stadium) for the Nationals Finals on 19th May. They should be very proud of their achievement and I am sure they are tremendously excited about this unique opportunity.